Since our beginning in 1959, traditional two-channel stereo music has been a big part of our business. Shelley's Stereo today, remains as dedicated as ever to presenting its clients with quality audio electronics that provide the most accurate audio reproduction available for their music enjoyment and listening pleasure. The manufacturers, whose products we carry, share this passion with us. Whether you wish to spin vinyl records or play digital music media, it sounds better on Shelley's carefully selected products and custom designed audio systems. With the merging of Ultra High Definition Video and Advanced Audio capabilities, Shelley's has evolved and remains at the forefront of home cinema, home automation, and control systems integration. Home networking, automated lighting, heating and air conditioning, security systems, and other automated tasks are now routinely integrated within the control systems and entertainment design work we do for our clients today. 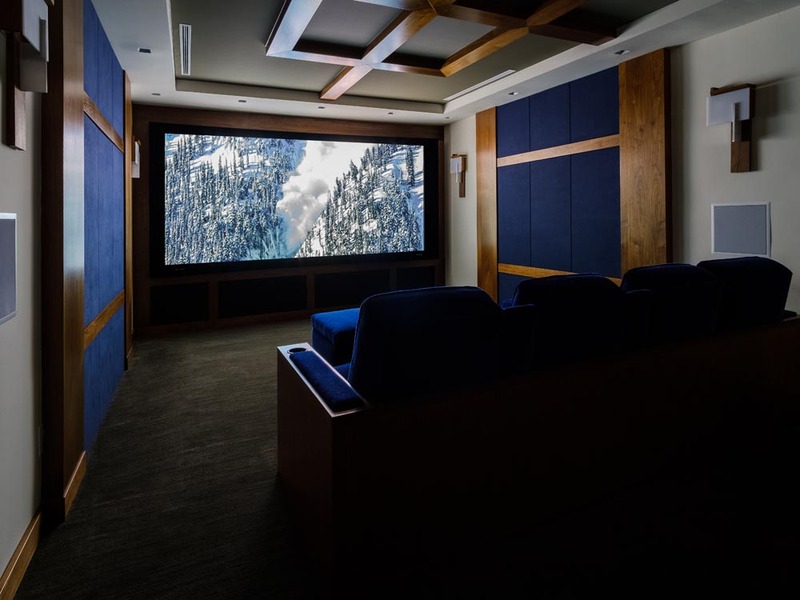 Our team of professional consultants and our in-house installation team are available to design and install a new or upgraded entertainment system that will best meet your needs, while delivering exceptional quality, value and performance, with the purest entertainment reproduction that can be had for your budget. Alon has worked in our industry since a teen. His love of music and his passion for its accurate reproduction was as evident then as it is now. Alon began working at Shelley’s in 1987, becoming its owner in 2001. From then until now, Alon has guided his company and staff to embrace both the analog world of stereo music (Shelley’s traditional roots), and the digital world that has brought so much change to the landscape of digital entertainment reproduction, its related equipment, and the software that manages it. Alon holds a California C-7 low voltage contractor’s license in good standing and is a member of various industry groups. He has been active in our community and was, for nine years, a member of the Board of Directors of the non-profit Valley Cultural Center, here in Woodland Hills, co-producing each summer, the popular and free “Movies on the Green” events each summer. He presently remains as technical advisor to The Valley Cultural Center. Alon truly loves what we do at Shelley’s, and has often said, “There is nothing else I’d rather be working at”. Stan has been working at Shelley's since 1993. He is an expert in 2-channel traditional stereo, a turntable specialist, Linn LP-12 certified, and known for his work throughout the United States. With the resurgence of interest in re-mastered and new vinyl LP’s, Stan's popularity with some of our audiophile customers is as big as ever. Stan has a deep understanding of audio electronics and has the work history to prove it. He has done classified technical work in air borne flight communications at the Packard Bell Space and Missile division and is a member of the Audio Engineering Society. Before joining us, Stan was also a recording engineer doing both in-studio and live event recording. Stan was also a musician and played the trombone. Stan still maintains his pilot’s license, and is often found in the skies on the weekend, flying single engine planes. He loves to dine well and his friends know of his extensive knowledge of the “grape”. He is a respected connoisseur of wines, relying on his palette and not merely the price. When dining out, he often brings several bottles of wine with him to serve his guests and restaurant staff. Bill started working in our industry in 1971, eventually joining us at Shelley’s in 1988. During his many years in our industry, Bill has traveled extensively throughout the United States, Canada, and Europe, to the factories and training facilities of many of the brand products that Shelley's Stereo sells today. Our clientele rely on his expertise. For Bill, his appreciation for music and audio reproduction started while he was quite young, at age 5. Taught drums by his uncle ED, a professional drummer, Ed often took Bill with him when he had summer gigs. It was at such live events that Bill developed his love of live music and later, his passion for “truer” sounding music reproduction. Bill has also studied architecture and engineering. Bill and his wife are avid concert goers and longtime “Parrot Heads”, having seen Jimmy Buffett more than fifty times in concert. They are board-sitting members of the Los Angeles Parrot Head Club, a 501-C7 charitable corporation. That club and others chapters throughout the country, raise millions of dollars each year for breast cancer, Alzheimer’s research, and for other charitable causes and humanitarian efforts. Over the years, Bill and his wife have helped raise over 10 million dollars for cancer research. Richard holds a Bachelor of Arts degree, and has done graduate work in finance and accounting at CSUN, California State University Northridge. He has been acting as chief financial officer and executive VP for Shelley’s in charge of business development since 2006, starting then as a general consultant and business development advisor. Richard has over 40 years of diverse business experience with expertise in accounting, finance and banking, computers, and the entertainment industry. As a youngster Richard played clarinet for a while, switching to drums at age 13. He was a lead percussionist in his high school band and orchestra, went on to establish and manage bands, and has stayed involved with entertainment and related businesses throughout his life. During the 1970’s and 1980’s, Richard represented many of the best known recording artists in the world, managing their ancillary merchandising and product licensing rights, through his own companies. Lorin has been working at Shelley’s since 1999. In addition to his A/V background, Lorin is a specialist in automated system controls and is presently our lead systems designer for “smart” automated homes. His attention to detail and knowledge ensure that even the most complex projects are designed with elegance and ease-of-use, without sacrificing the full functionality that our clients want. Lorin graduated with a BA in Psychology from U.C.L.A. in 1982. In Lorin's words, “during the 1980s it was an exciting time for the consumer electronics industry, with the advent of CDs, Laser Discs, VCRs, the Sony Walkman, portable video cameras, the PC revolution, video game consoles, and much more.” Lorin was “hooked” and embraced the home entertainment revolution as his profession, beginning his career as a sales associate with “The Federated Group”, followed by his present position as a valuable member of the Shelley’s team. Lorin remains as passionate about our industry today as he was in the beginning of his career, achieving many industry certifications along the way. He is an avid reader and keeps abreast of all the latest developments in our industry, to the benefit of Shelley’s and its clientele. In his spare time Lorin loves to cook and occasionally, he can be found rummaging through bookstores looking for old cookbooks with “comfort food” recipes that he might reinvent.